Just about two or so weeks ago, I downloaded the darkness. And by that, I don't mean I downloaded the new Miley Cyrus album. Oh god no...I downloaded Brian James Freeman's incredible The Painted Darkness, available for free from Cemetery Dance (for a limited time) here. When Henry was a child, something terrible happened in the woods behind his home, something so shocking he could only express his terror by drawing pictures of what he had witnessed. Eventually, Henry's mind blocked out the bad memories, but he continued to draw, often at night by the light of the moon. Twenty years later, Henry makes his living by painting his disturbing works of art. He loves his wife and his son, and life couldn't be better... except there's something not quite right about the old stone farmhouse his family now calls home. There's something strange living in the cramped cellar, in the maze of pipes that feed the ancient steam boiler. A winter storm is brewing, and soon Henry will learn the true nature of the monster waiting for him down in the darkness. He will battle this demon and, in the process, he may discover what really happened when he was a child — and why, in times of trouble, he thinks: I paint against the darkness. But will Henry learn the truth in time to avoid the terrible fate awaiting him... or will the thing in the cellar get him and his family first? I don't really want to go into the marketing aspect of this free release, as I feel that the book itself is phenomenal and deserves more praise than just that. Although, I have to mention the fact that we should feel honored to be receiving this for free because it's quite possibly one of the darkest, most beautifully written books I've seen this year. 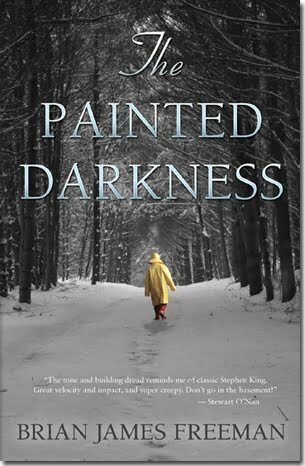 The Painted Darkness is an incredibly strong story that jumps the reader back a forth between the past and the present, forcing him to be inside the head of the main character - Henry. And what a terrifying place that is. Freeman has written a very vibrant character in Henry, allowing the reader to not only indentify with him, but also to worry and fear what is coming at him in the story. The relationship between Father and Son that starts off the book is heartbreakingly beautiful, and something that I think most people wish they had with their own, or look back on fondly. The events that unfold for this character are made all the more compelling by the fact that you can really feel where he's been, and where he's going. Freeman employs a masterful ability to set a scene in this one as well. I'm almost hesitating to say that he paints with his words - which is exactly what it is. Being a painter myself, I really appreciate the visual weight he achieves by using his descriptive ability so well. Throughout the entire story the snow is falling and the weather is chilly. I read this on my iPod and literaly found myself shivering along with the main character. Freeman manages to describe everything to it's fullest extent, thus forcing you to relive every moment in your head - visually. And when the action starts in the last act, well...it'll put you on tenterhooks, that's for sure. I really enjoyed this book, and so did a fair many others. The Cemetery Dance Limited Edition was entirely reserved by collectors in under 24 hours, and preorders for the $19.99 trade hardcover have met incredibly strong sales. The trade hadcover version will be released in November of this year, and will be available at the Cemetery Dance website, Amazon, and other retailers. 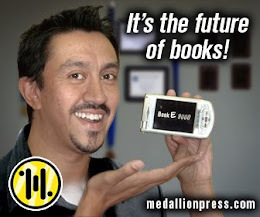 Contact Brian at his website, on Facebook, and Twitter. Also, don't forget to Download this incredible book at www.downloadthedarkness.com. Love that cover! Classy and slightly creepy all at once.